Today I want to share a super special gift Lucía received - a Forever Blanket by Swell Forever®. This blanket is not your typical personalized blanket, it's a timeless, one of a kind heirloom your family will treasure for ever. 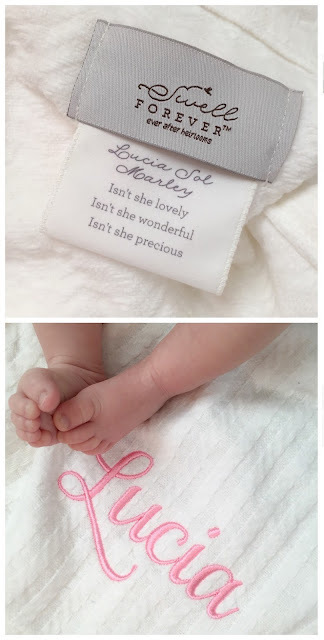 In addition to being able to customize each blanket with monogram or name, all Forever Blankets feature a cotton fabric tag that can be personalized with the recipient's name, birthday, birth stats, inspirational quote or any special message you wish to share. For Lucía's tag, we chose lyrics from the Stevie Wonder song "Isn't She Lovely" which Brad shared when he announced her birth to our friends and family. I'm absolutely in love with this blanket. Lucia doesn't own anything personalized as special as this blanket. It's one of a kind, specially made for her. We will treasure it for ever. 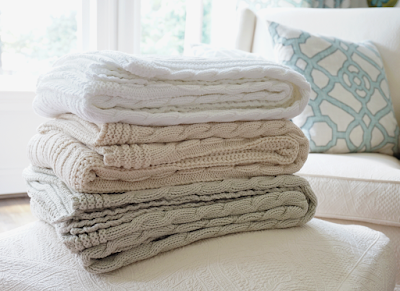 Swell blankets are the perfect gift for all special occasions including baby showers, newborn arrivals, baptisms and first birthdays, they also make for the perfect gift this holiday season. Forever blankets are timeless and thoughtful gifts that will add beauty to any baby nursery, toddler room or cozy children's space in the home. Swell Forever also offers one of a kind gifts for your home. 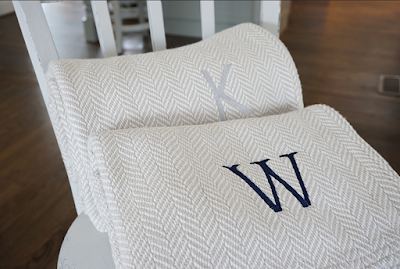 These beautiful throws are perfect year-round gifts for birthdays, weddings, bridal showers, housewarming parties, Mother's Day, Father's Day, holidays and memorial gifts. Swell Forever not only makes beautiful products but also gives back to the community through several different projects. For every blanket purchased, Swell Forever® makes a donation to their adoption fund. The Forever Blanket helps bring new families together, because they believe that everyone deserves a Swell Forever. Swell Forever recently launched the Foster Swell Fund which allows the company and their customers to grant needs for children in foster care. Therapy products, dance, music and sports classes and help with college events and prom can all be purchased through their Grant Wish shop. What a precious gift. Lucia is so cute.